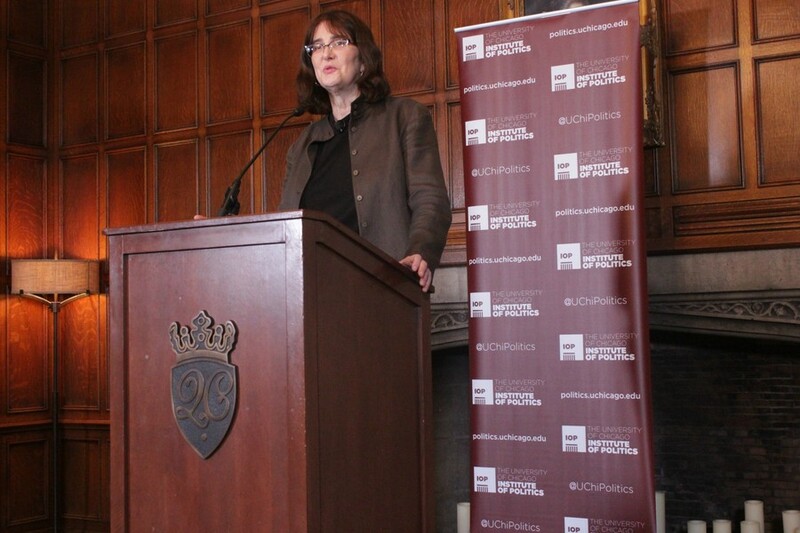 In her talk, Keisling discussed the transgender movement’s rapid growth, challenges she anticipates trans people will face in 2016, and specifically, her efforts to protect children from gendered bathroom regulation. Keisling is the founding Executive Director of National Center for Transgender Equality and a prominent advocate for transgender rights on Capitol Hill. Her work has included ensuring that people’s gender is correct on government records, challenging transgender disparities in access to health care, and promoting non-discrimination laws. She opened with the optimistic point that the transgender movement for equality is the fastest growing movement in history. “In the year 2000 there was not a single attorney in the country whose whole job was doing trans rights. There were some great attorneys who were doing trans rights…but there was no movement. There was not really a trans movement. At that point government policies had been done without keeping us in mind at all. They did what they wanted to do. So some of us really felt like we needed to have a voice,” Keisling said. Keisling proceeded to discuss the movement to challenge recent bills to regulate gendered bathrooms primarily in schools. Keisling asserted that bathroom laws will not be an easy target for these policy makers. She believes that politicians that support these laws mistake trans people for a small, helpless part of the population that they can bully. She seeks to walk out the other side with the bills defeated and America better educated. “We’ll win. I’m very optimistic about us winning, but the things that trans people, and in particular trans kids, will have to hear is just pretty opprobrious,” Keisling said. Approximately thirty participants joined Keisling for her conversation hosted by the Institute of Politics at the Quadrangle Club.